Bride & Groom Trivia with a Twist! Hilarious and fun. 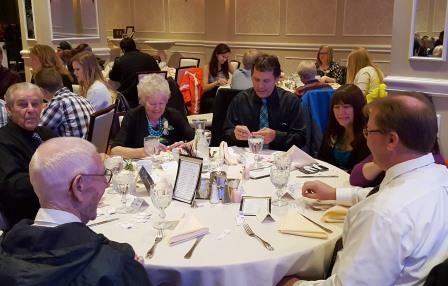 Bundles of tickets are placed at each table for guests to open and find 20 different trivia questions about the bride and groom. 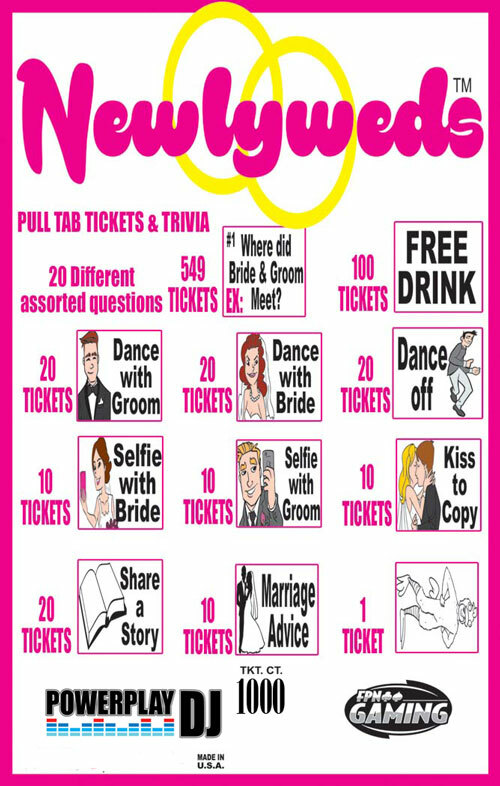 The tickets also have random "prizes" such as "Selfie w/Bride", "Dance w/Groom" and so forth. Each table has an answer sheet and the DJ or Emcee engages the room by going through the questions/answers and determining the winning table. The DJ/Emcee is encouraged to be creative and have fun with the answers/questions and miscellaneous prize tickets! ATTN DJ's: Best practices/tips for setting up and delivery Newlyweds pull tabs & trivia game. Each bag contains 1,000 total tickets (see breakdown below - includes a separate bag of 100 optional "free drink" tickets which can be mixed in as desired). Everyone loves to open tickets and an interactive Emcee can make the game very entertaining and a great ice-breaker! Where did Bride & Groom meet? What is Bride's middle name? What is the Grooms middle name? Groom would say Bride's best feature is? Bride would say Groom's best feature is? What city was the Groom born in? What city was the Bride born in? What is Bride & Groom's combined age? What is Bride's fav thing to spend $ on? What is Groom's fav thing to spend $ on? Who is Bride's favorite celebrity? Who is Groom's favorite band? If Bride could meet a famous person,who? If Groom could meet a famous person, who? What is the Bride's shoe size? What is the Groom's shoe size? What is the Groom's favorite drink? What is the Bride's favorite drink? Case quantity discounts available - please inquire. Offered exclusively from Powerplay DJ! DJs: Sample the game at the Mobile Beat DJ Conference in Las Vegas! 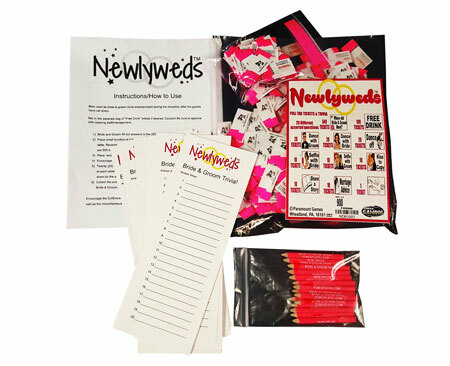 Best practices/tips for setting up and delivery Newlyweds pull tabs & trivia game.